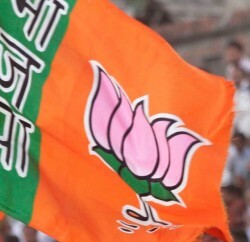 Shimla: The BJP has declared the names of all the four candidates for Himachal Pradesh for the Lok Sabha election 2019. The BJP has retained Anurag Thakur from Hamirpur parliamentary segment and Ram Swaroop Sharma from Mandi, while saffron outfit has dropped veteran leader Shanta Kumar from Kangra and fielded sitting Dharmashala legislature and Cabinet Minister Kishan Kapoor. From Shimla (reserved) parliamentary BJP has fielded sitting Pachhad legislature Suresh Kashyap. Party has dropped two times parliamentarian Virender Kanshyap. 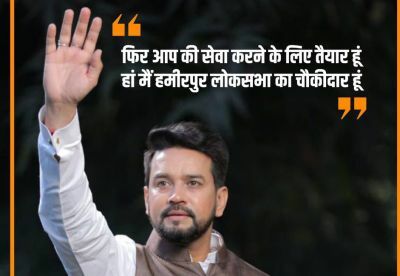 Anurag Thakur, in his twit, thanked party national president Amit Shah and PM Modi for reposing faith in him. He is confident of getting electorates support to win Hamirpur Lok Sabha seat for record 4th time. Ram Swaroop Sharma has also thanked party high command, state leadership and party workers. In 2014 Lok Sabha Election BJP had swept the poll by winning all four parliamentary segments. 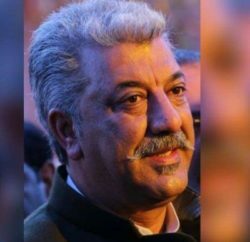 Commenting on changing of candidates from Shimla and Kangra parliamentary segments, Congress quipped that the BJP has conceded its defeat well before the election. Rajneesh Kimta, Gen Secretary Organization, said the BJP leaders have failed to address the common people issues and now it has changed the tickets of sitting parliamentarians to atleast save itself from the public scrutiny.